Gustav Mahler’s Das Lied von der Erde was posthumously premiered in Munich in 1911 and described by Mahler as a “symphony for tenor, alto (or baritone) and orchestra.” It follows that two soloists have been featured in every recording to date: either tenor and baritone or tenor and alto/mezzo soprano. Jonas Kaufmann is the first soloist to be heard singing both parts. 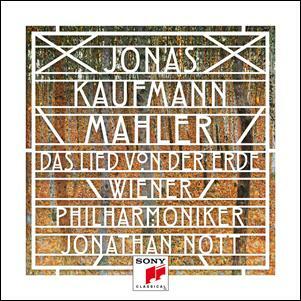 His recording of Gustav Mahler’s Das Lied von der Erde will be available from Sony Classical on April 7, 2017. Science, History and Adventure: What More Do You Want in a Podcast? 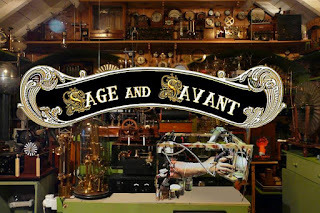 The Adventures of Sage and Savant are a conglomeration of science, history and adventure. The heroes, Dr Petronella Sage and Professor Erasmus Savant, travel through time, and there is some serious research behind these adventures. The whole series is built on trying to blend what is known in physics today, set the adventures in the Victorian era--with a gloss of Steampunk--then thrusting them into historical settings. The podcasts are adventures, rather than history or science lectures, so the website includes the research behind the episodes.